In this post, I’ll enumerate a few more reasons why I believe that when Paul states that Philemon and Onesimus are adelphoi en sarki that he does not mean that they are both human beings. If Paul meant to note that Philemon and Onesimus share a common humanity, this would make little or no sense. All humans share in a common humanity. But if Philemon and Onesimus are adelphoi en sarki with this phrase meaning “actual brothers in the flesh,” then Paul’s words make good sense here. 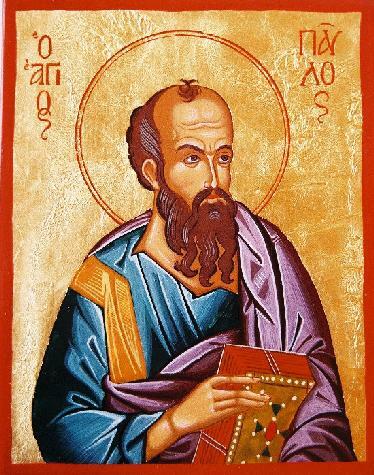 Onesimus would clearly be dearer and more beloved as a brother to Philemon than to Paul. Finally, if Paul really wanted to communicate that these two were blood brothers, what other expression could he have possibly used other than adelphoi en sarki? That they are “brothers in the flesh” is simply the plainest and most straightforward way of understanding this expression, even though it then functions as a serious thorn in the flesh for the majority view of the scenario lying behind Paul’s letter. For tomorrow, a few alternative scenarios that can account for Paul’s language in v. 16. Also it is not clear that it is only Philemon who can relate to Onesimus on that level of “flesh and spirit”. It is simply that Onesimus would be more involved in Philemon’s life because he was his slave. It seems to me that this suggestion stretches the language too far from the natural sense. If you heard someone say, “this man is my brother,” would you take him to mean something like, “this man is an encouragement to me?” Would his words not mean that the two people involved are actually brothers? Looking more closely at the words Paul uses, I’m not sure how else they can be used. By showing that quote from Ignatius I was able to show that natural sense of SARX can also entail “that which is external”. So I found your comment odd. It seems to me that Ignatius’ comment that he is refreshed “in the flesh and in the spirit” means that in both realms he is refreshed. But Paul doesn’t mention in vv. 15-16 of Philemon anything about being refreshed (he does say this earlier, actually). He mentions being “beloved brothers” in these two realms. It just seems the most natural meaning of “being a beloved brother in the flesh and in the Lord” to take it as being actual brothers and being fellow Christians. A verbal notion seems beyond the natural sense of Paul’s words here, at least to me. Paul was a Benjaminite. Do we know Philemon’s tribe? I agree with you! Tim. I think the minority view needs more attention. The brother to brother or en sarke is important to note. Good reflection here. I raised your posts in one of my preaching courses and students were shocked of the possible different interpretation.